Google’s new self-driving cars are on public streets. After more than a year of development and testing, the test cars hit the roads around Google’s headquarters in Mountain View late last week, and I went to check them out. They weren’t easy to find. Perhaps because testing is so new, I only saw them four times over the course of several hours on Friday and Monday outside the Google X research division. In contrast, scores of the previous-generation Lexus SUVs came past me during the same period. Although Google's self-driving car drives largely on its own, it always has at least one minder ready to take the manual controls installed in the car. Like many residential streets in Silicon Valley, the roads near Google X don’t have lane markings and have lots of street parking. 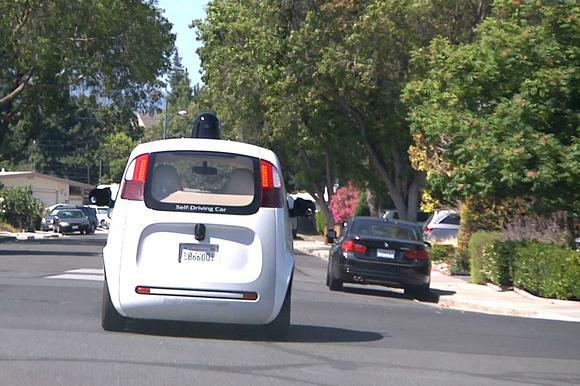 There’s enough room for two cars to pass each other, but the Google car seemed to prefer driving much closer to the center of the street than a human driver might. On a wider street without parked cars, the car did stay to the right-hand side of the road and successfully slowed to a halt almost exactly at a ‘stop’ marking on the street. Then it successfully navigated a three-way intersection and went on its way. Google's self-driving car drives at a top speed of 25 mph. While its maximum speed wasn’t a problem on residential streets, it was moving slower than the rest of the traffic as it headed down Middlefield Road on Friday. Its hazard lights almost continually flash as it drives, giving motorists a warning of its slow speed. Most simply overtook it, although it was obvious that some people slowed to get a better look at the car. Both among neighbors I spoke to and in online comments on community message boards, many Mountain View residents seem excited that this cutting-edge research is happening in their town. Google’s project has made Northern California something of a hotspot for self-driving car tests, and nowhere are more vehicles on the road than here. A somewhat close encounter between a Google self-driving car and one from competitor Delphi set off a flurry of coverage just last week, and the details remain disputed,. 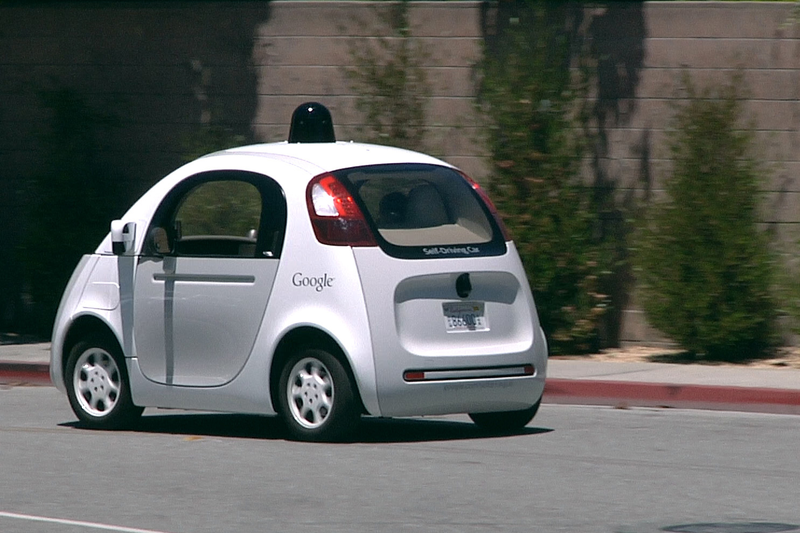 The new self-driving cars are easy to spot thanks to their distinctive styling, which most agree is cute. 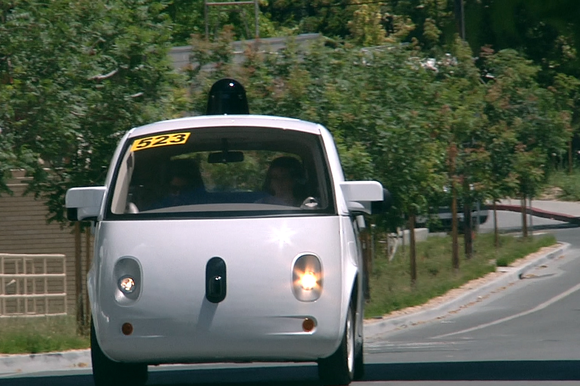 The all-electric vehicle is small and rounded and has a front that resembles a face. If these are part of a diabolical scheme whereby machines take over the Earth, few people will see it coming.